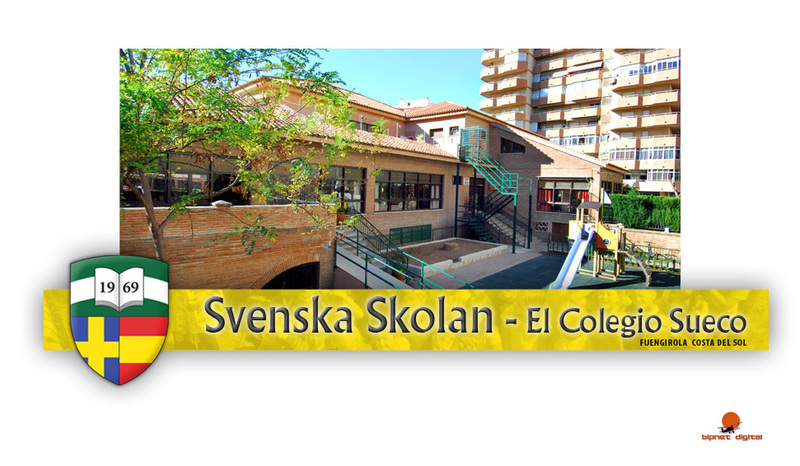 Welcome to the Swedish School on the Costa del Sol in Andalucia, a school with students from kindergarten to upper-secondary class. The school is small and accommodates about 210 pupils and around 30 employees. Our school is one of the largest Swedish schools outside of Sweden with a wonderful climate and a culture that has infinitely much to offer, experience and enjoy! We follow the Swedish curriculum and Swedish school regulations for each level of education. The academic year calendar broadly follow the Swedish one, but we also take account of the Spanish holidays. The autumn term starts in early September as August is still very warm. Since our school is small with classes of about 20 students, teachers have the opportunity to get to know each student and give him/her what he/she needs. To study at our school is an opportunity to learn how to learn, to develop speaking, to continue to be curious, to express and think freely and to be respected in a safe environment. These are some of our objectives. It should be fun to go to school! The school is run as a parental cooperative and the decision-making channels are short. Our aim is to work as closely as possible with the parents. All students start school at 9.00 am until 15.00 or 15:20 pm. 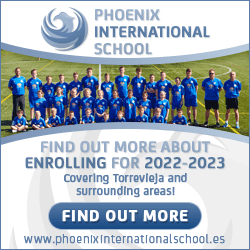 Primary and secondary schools have a slightly adjusted curriculum with at least 120 minutes per week of Spanish in all classes and levels. Primary school also has a little more English and Swedish than in a Swedish school in Sweden itself. Schools also have Spanish-speaking employees who work as Spanish teachers, caretakers and cleaners. It is important for our school that both the Swedish staff and students learn Spanish in order to take a full part in the Spanish society. In school we learn, of course, about the Spanish culture, society and nature. One of the most important tasks for the school is integration and internationalisation. Many of our students are really good in Spanish. They are also offered the opportunity to learn Spanish according to the Spanish curriculum, giving students the right to study in all Spanish-speaking colleges and universities.